Sierra Leone needs to amend domestic law that allows police use of firearms to protect property or stop unarmed escaping prisoners. International law restricts such use to where it is necessary to confront an imminent threat of death or serious injury or a grave and proximate threat to life. No person shall be deprived of his life intentionally except in execution of the sentence of a court in respect of a criminal offence under the laws of Sierra Leone, of which he has been convicted. (e) if he dies as a result of a lawful act of war. According to Section 20(1), no one "shall be subject to any form of torture or any punishment or other treatment which is inhuman or degrading". The Constitution also established the Police Force of Sierra Leone, "the Head of which shall be the Inspector-General of Police".S. 155(1), 1991 Constitution of Sierra Leone.It does not, though, regulate the use of force by the Sierra Leone Police Force beyond the provision in Section 16(2) cited above. (1) In making an arrest the constable or other person making the same shall actually touch or confine the body of the same person to be arrested, unless there be a submission to the custody by word or action. (2) If such person forcibly resists the endeavour to arrest him, or attempts to evade the arrest, such constable or other person may use sufficient force to effect the arrest but not more. (3) Nothing in this section gives a right to cause the death of any person except when a constable or private person is legally attempting to arrest the person killed, upon a charge or treason, felony or inflicting a dangerous wound and the arrest of such person cannot otherwise be accomplished. (4) If a constable is assaulted or obstructed when making any arrest, it shall be the duty of any private person, on whom he may call for aid, to go to his assistance. Sierra Leone also has regulations relating to the use of force in the 2001 Police (Discipline) Regulations, which make it a discplinary offence to use "unnecessary violence to, or ill-using [sic] any person in custody" and discharging "any firearm without just cause".Second Schedule, 2001 Police (Discipline) Regulations. Section 16 of the 2014 Sierra Leone Correctional Service Act governs the use of force in custodial settings. (1) A corrections officer may use such force against an inmate as is reasonably necessary in order to make the inmate obey lawful orders. (iii) whilst engaged in any activity mentioned in subparagraph (ii), is using violence against the corrections officer or another corrections officer or other person. 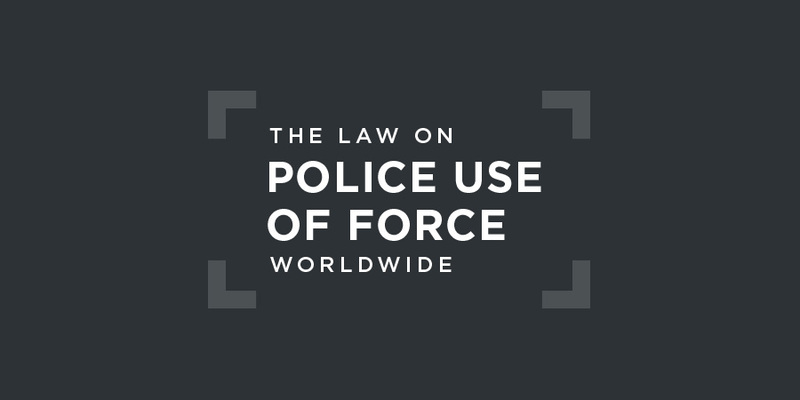 (5) In every case when force is used a corrections officer shall use the minimum force necessary in the circumstances and the use of weapons, in pursuance of the provisions of this section, shall be as far as possible to disable and not to kill. The Independent Police Complaints Board was established in 2015 to oversee the use of force by the Sierra Leone Police Force. The National Commission for Democracy and Human Rights also has some potential to act as a police oversight mechanism.An Audit of Police Oversight in Africa, African Policing Civilian Oversight Forum (APCOF), 2008, p. 61.
the lack of concrete measures by the State party to thoroughly investigate and prosecute alleged cases of torture and cruel, inhuman or degrading treatment and ill-treatment by law enforcement officials. highly concerned about allegations of excessive use of force, including lethal force, by police and security forces, especially when apprehending suspects and quelling demonstrations, and about the broad threshold for the use of lethal force in section 16, paragraph 2, of the Constitution. immediate and effective action to investigate promptly, effectively and impartially all allegations of excessive use of force, especially lethal force, by members of law enforcement agencies and to bring those responsible for such acts to justice and provide the victims with redress.Committee against Torture, Concluding Observations on Sierra Leone's Initial Report, UN doc. CAT/C/SLE/CO/1, 20 June 2014, §13. to make the necessary amendments in section 16 of the Constitution and the police rules of procedure to ensure that lethal use of firearms by law enforcement officials can only be employed as a measure of last resort and if strictly unavoidable for the purpose of protecting life, in accordance with the Convention, the Code of Conduct for Law Enforcement Officials and the Basic Principles on the Use of Force and Firearms by Law Enforcement Officials (1990). provide regular training to law enforcement personnel in order to ensure that officials comply with the above rules and are aware of the liabilities they incur if they make unnecessary or excessive use of force.Committee against Torture, Concluding Observations on Sierra Leone's Initial Report, UN doc. CAT/C/SLE/CO/1, 20 June 2014, §13.